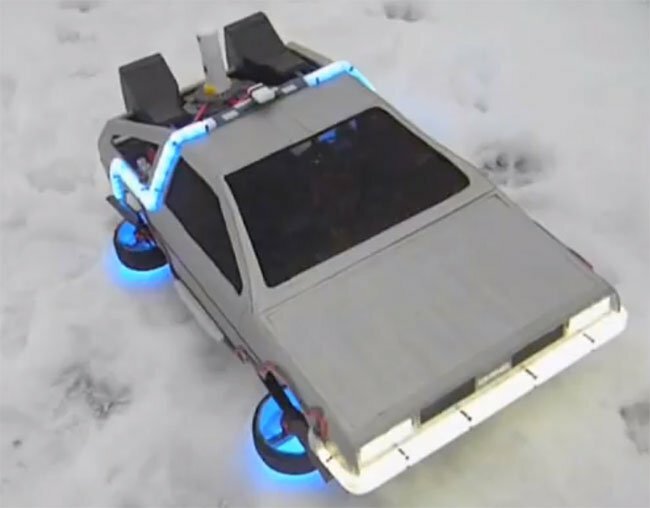 We have featured a number of DIY quadrotor machines here on Geeky Gadgets but this “Back to the Future” Flying DeLorean Quadrotor created by a Russian modder is definitely worth a mention. After the break you can see how the DeLorean Quadrotor was created and of course how it flies. The Back to the Future Flying DeLorean Quadrotor is even fitted with some Flux capacitor style LED lighting to add to the effect when flying at night. MultiWii, a HobbyKing 12A BlueSeries Speed Controller, and a batch of Turnigy 2204-14T motors for the engines, all powered by a trusty Lithium battery.